A landmark of twentieth-century cinema and astonishing piece Soviet propaganda that culminates in one of the most dramatic and most frequently referenced sequences in film memory. 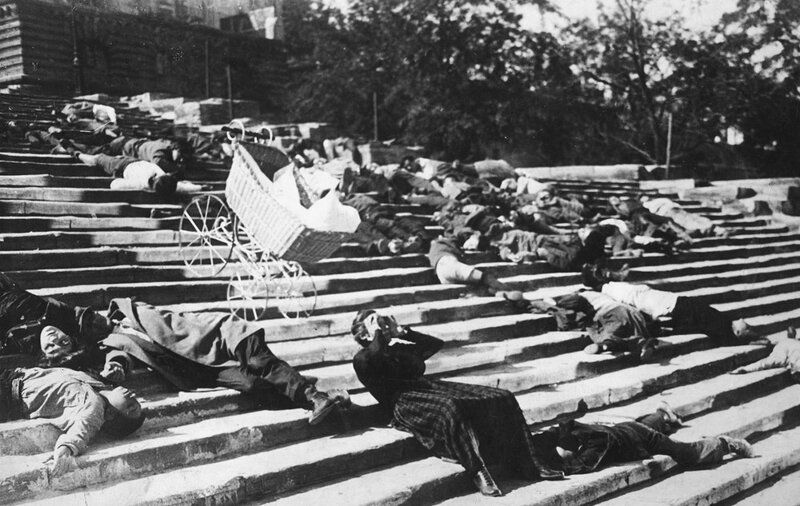 Fed up with the extreme cruelties of their officers and their maggot-ridden meat rations, the sailors aboard Battleship Potemkin stage a violent mutiny. This then sparks a citizens' revolt against the Czarist regime.